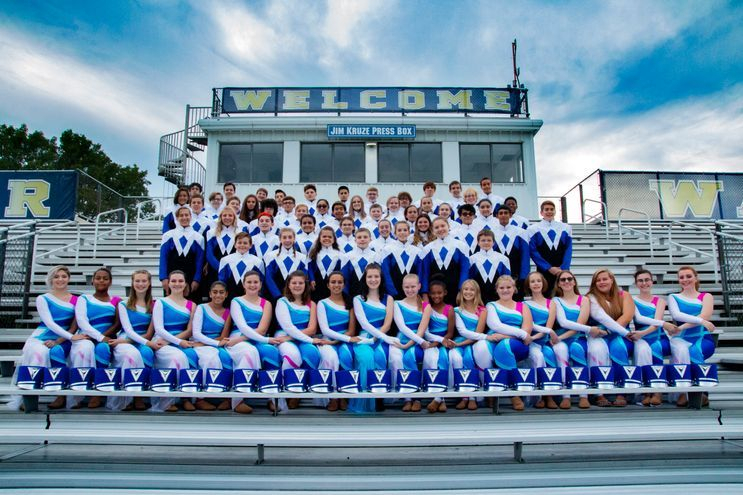 The Webster High School Marching Band was formed for our students in 1984 to create a competitive unit providing them an exciting and new outlet for their musical education experience. Any student in the Webster School District from the fall of their 6th grade year through 12th grade, with good academic standing. To play a musical instrument in this group, the student must be currently taking a curricular program course at school (Chorus/Band/Orchestra/Music Theory). We encourage chorus and orchestra students to learn a percussion instrument when a part of this group. If any student who is enrolled in these courses that receive private lessons on another instrument, we will allow them to play that in the group as well. Since there is no colorguard class at school, this section is open to any student who wishes to participate. Dance students are particularly invited to join, but dance experience is not necessary. Mellophones – Think of it as a marching French Horn. All other instruments are provided by the student. 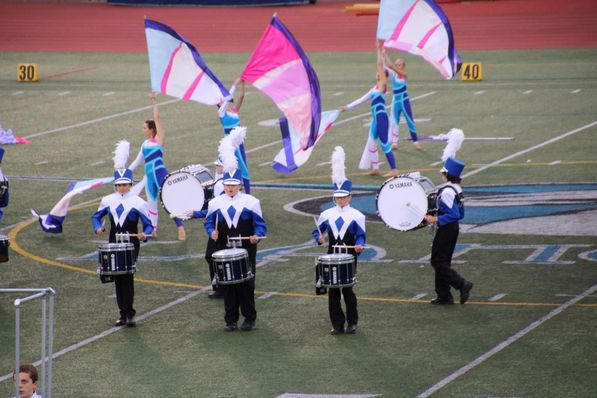 The Marching Band supplies the uniforms, colorguard equipment and miscellaneous props and items needed for each program. Spring Training & Parade Season - This is the time of the year when we work on our extensive training program and parade routines. Usually late March through early June with time off during exam time. Some weekend commitments are needed for parades. Summer Season – This time of year we build our competitive program. Usually late June to the last week of August with a week off in early August. No weekend commitments during the summer season. Fall Competition Season - During this time of year we travel all over Western and Central New York competing against other groups. We also take one trip that is considered our yearly “big” trip to a larger arena for competition. This trip is combined with educational and fun experiences for the students like a Broadway play and site-seeing. Usually a long weekend. This season is from early September to early November. Competitions are on Saturdays and the commitment is for the full day. The cost of participation varies from year to year depending on the location and cost of the big trip. The students and families are given many opportunities to fund raise in order to greatly lower the out of pocket expenses. Many students raise all the necessary funds in this manner. The Webster School District and Webster Marching Band Boosters help promote and fund all the programs we provide. Thank you for contacting us about the Webster Marching Band. We will get back to you as soon as possible.